On May 21st 2014, President Obama designated the Organ Mountains-Desert Peaks National Monument. 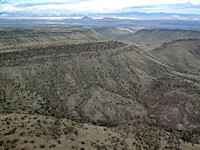 Within the monument, eight wilderness areas will be guaranteed permanent protection, with protections for 496,000 acres of natural, cultural, and historical resources in Doña Ana County, New Mexico, including the Organ Mountains, the Sierra de las Uvas Mountains, the Potrillo volcanic field, rare examples of Chihuahuan Desert grasslands and sky islands, landmarks along the El Camino Real National Historic Trail, the Apollo mission training site at Kilbourne Hole, 22 miles of the Butterfield Stagecoach Trail, Billy the Kid’s Outlaw Rock, hundreds of Native American archaeological sites, the Gadsden Purchase international boundary, and historic ranch houses. The monument will continue to be managed by the Bureau of Land Management, and grazing, wildlife and game, and existing roads used for ranching will all continue to be managed as they were historically. This victory reflects ten years of work and comments of ranchers, nearby communities, stakeholders, recreation groups and area businesses, and other stakeholders, as well as state agencies, White Sands Missile Range, Fort Bliss and the U.S. Border Patrol, and overflights with these diverse stakeholders by EcoFlight. To complete the community’s original proposal, Senators Tom Udall and Martin Heinrich have introduced legislation that would grant wilderness protection to these most sensitive areas within the Organ Mountains-Desert Peaks National Monument. Much of the area has been managed as a “Wilderness Study Area” since the 1980s when the Reagan administration first set it aside for protected status. 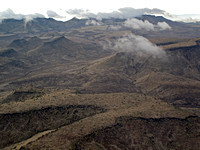 Subsequent areas in the Organ Mountains were given Wilderness Study Area status in 1993. This legislation would take the next step in making these protections permanent by creating 241,000 acres of wilderness. The bill most recently had a committee hearing in February, 2018.